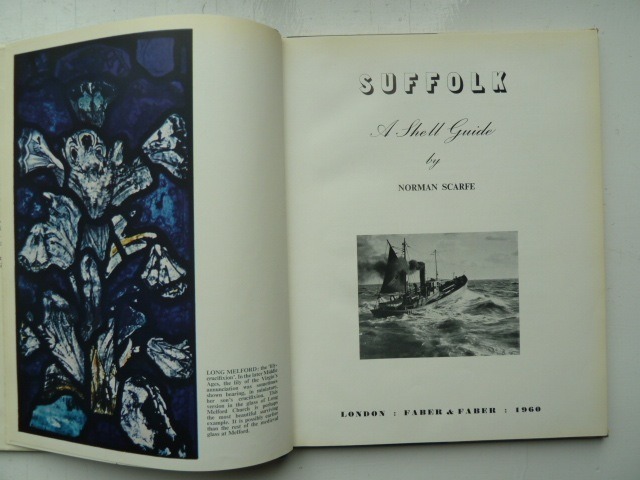 Throughout much of the twentieth century (and indeed before then) publishers competed in producing books on the English counties, not just general guide books, but books setting out the literary and historical background to the county. 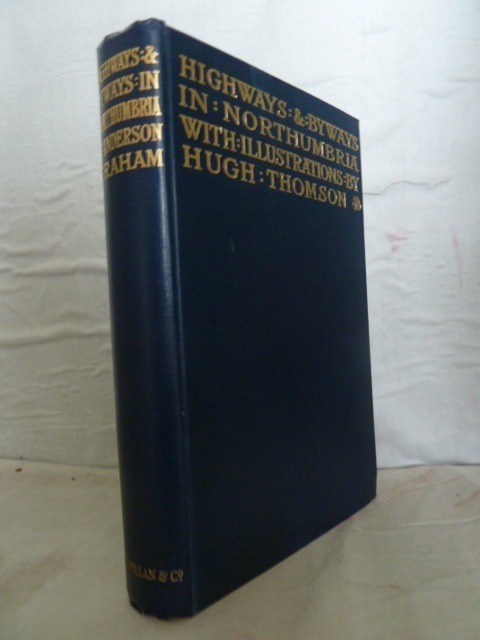 Macmillan led the way with their "Highways and Byways" series; sturdy octavo volumes written by well known literary figures, such as Edward Hutton and E V Lucas and illustrated by eminent artists such as Joseph Pennell and F L Griggs. 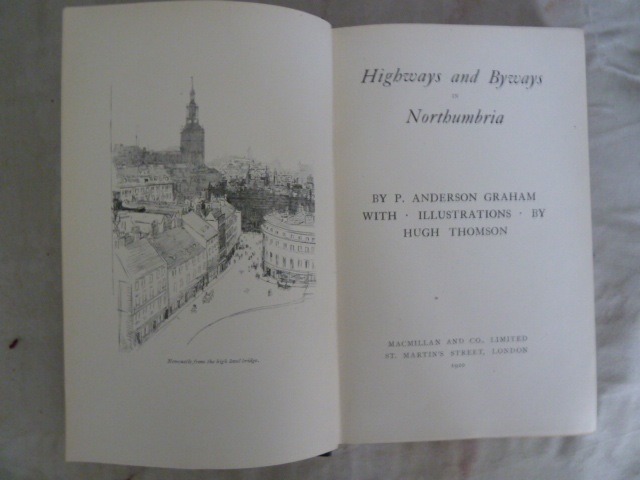 This series began with "Highways and Byways in Devon and Cornwall" in 1897 and came to an end with "Highways and Byways in the Welsh Marches" in 1935. 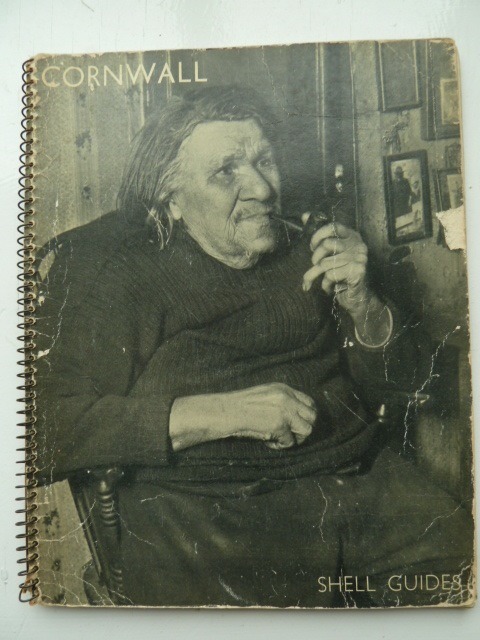 Not all counties were published, notable omissions being Lancashire and Cheshire and the series also covered regions of Scotland, Northern Ireland and Normandy, a total of 37 volumes being produced. These volumes are attractive and do provide a detailed review, being particularly strong on history and literature. Next up we have Hodder and Stoughton's "King's England" series. 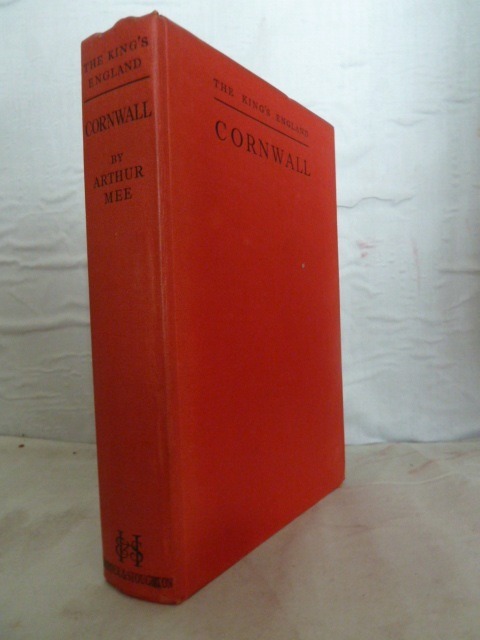 This began life in the 1930's and was resurrected in various forms once all the English counties had been completed in the original red cloth, blue dustwrapper, format in 1952 with "Northumberland", the 41st volume in the series. 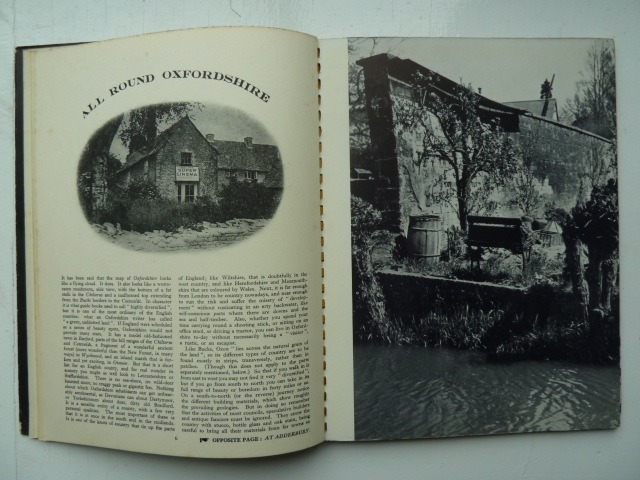 These were edited by Arthur Mee, but used other authors in building up descriptions of each village, town and city in alphabetical order illustrated by brown and white photographs. The descriptions are gloriously positive as even the most unprepossessing of villages is found to be blessed with a wonderful church font, a magnificent oak tree or a remarkable grave. 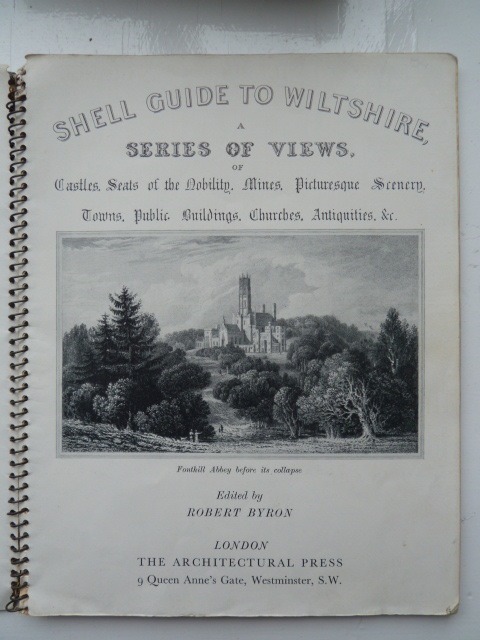 Passing over Robert Hale's "County" books and Pevsner's "Buildings of England" series, we come to the gold standard for county guides - the Shell Guides published initially by the Architectural Press, briefly by Batsford but reaching their glorious best when Faber and Faber took over the series. 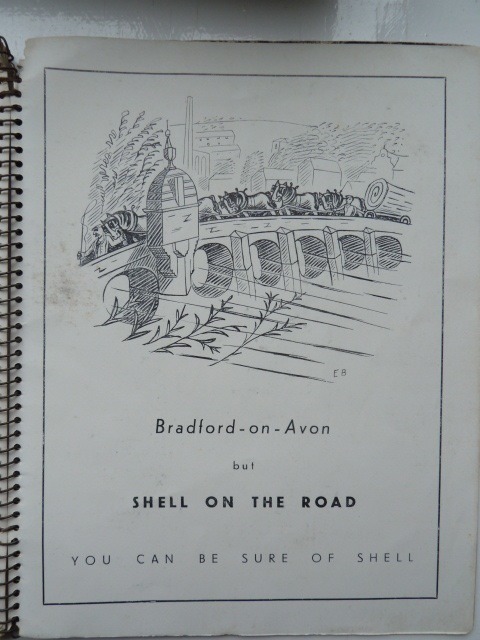 The Shell Guides, which were published over the period 1934 to 1984, were aimed at motorists touring their own country. 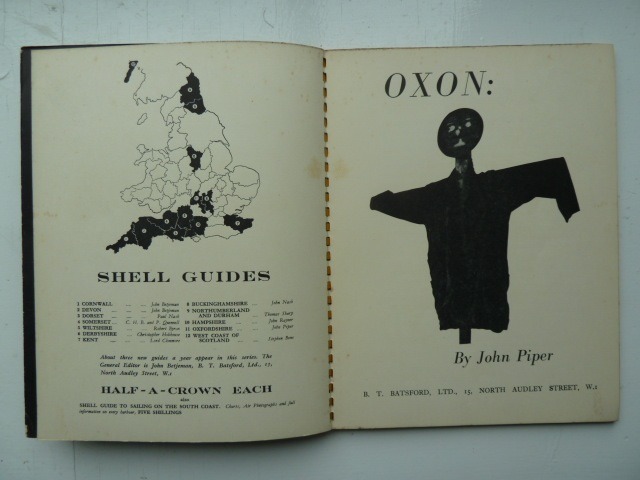 With a mixture of essays on the county, a gazeteer and carefully chosen photographs they complemented perfectly the ordnance survey map on a motoring holiday. In fact, so good are they that it would be highly unusual for my wife and I to spend any length of time in an area of Britain new to us without packing the appropriate Shell Guide. 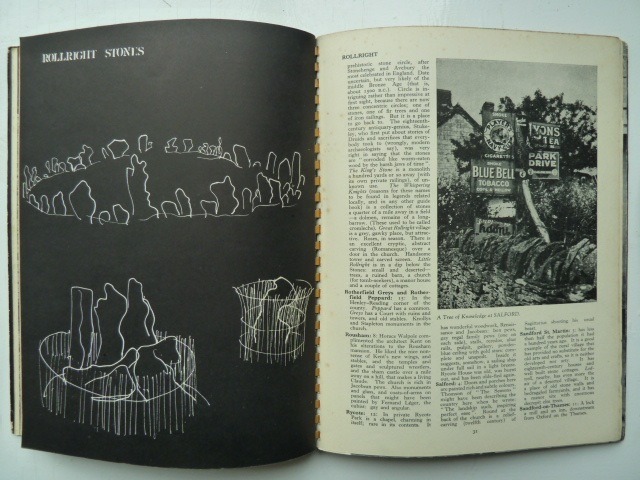 The initiative for the series belongs to John Betjeman, at that time working for the "Architectural Review". 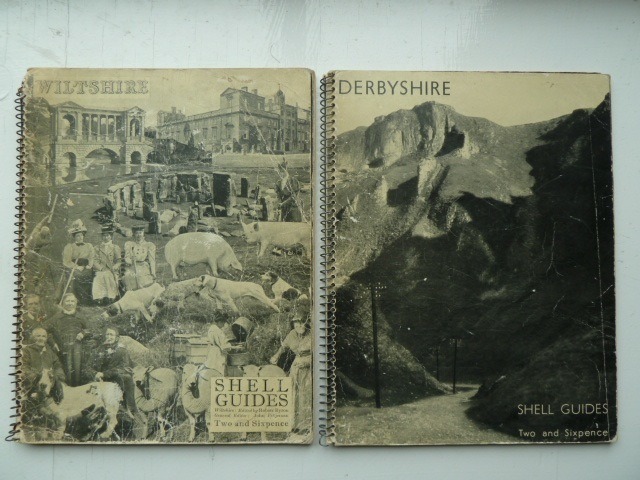 Betjeman sought sponshorship for a series of guide books from Shell, who were suitably enthusiatic, the idea complementing their own brand of advertising. 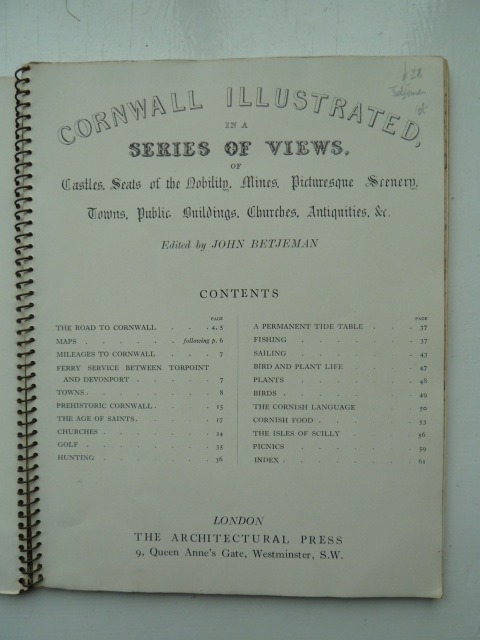 The first guide "Cornwall", written by Betjeman himself, duly appeared in 1934 published by the Architectural Press. 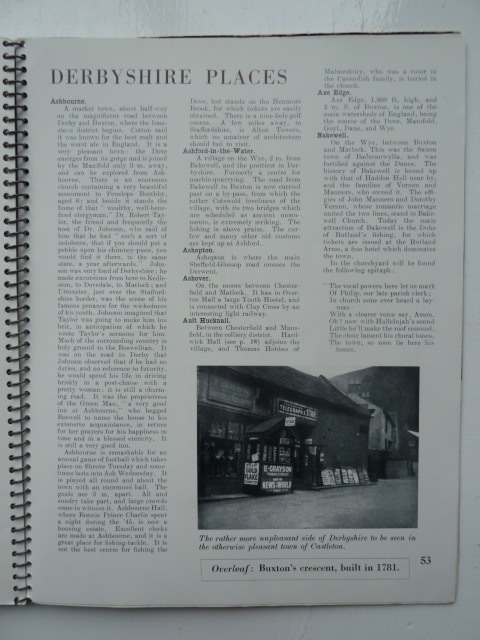 Further volumes from this Press on Derbyshire, Devon, Dorset, Kent, Somerset and Wiltshire followed over the next few years. 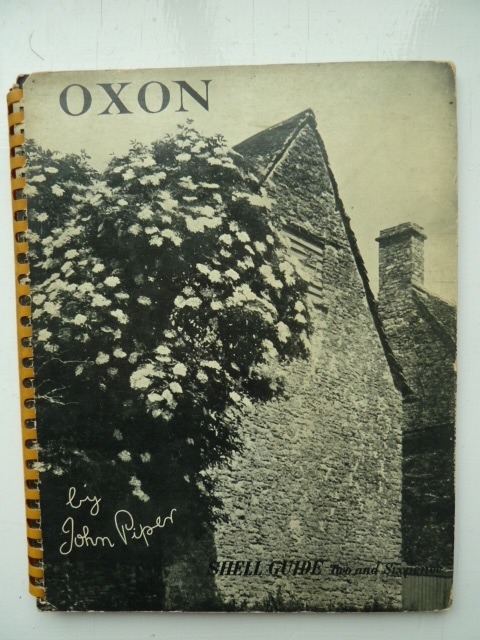 "Devon" was authored by Betjeman, the others by different authors commissioned by Betjeman, including Paul Nash, the artist, whose "Dorset" contains a mixture of photographs and Nash's own drawings, making it particularly attractive. 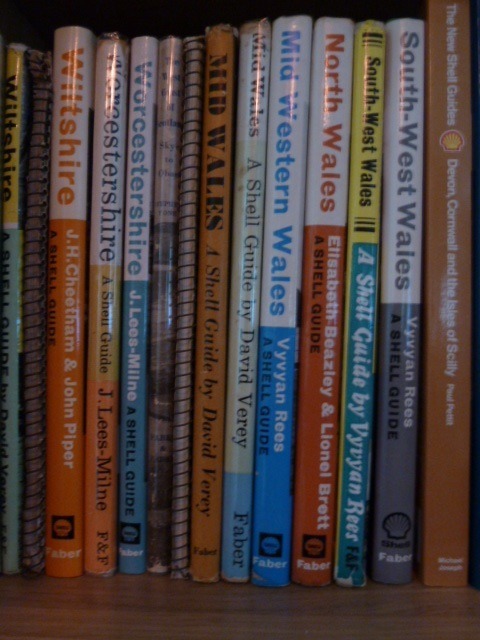 These volumes are all spiral bound with relatively short gazetteers, and separate essays on various aspects of the county, such as geology, architecture, natural history and antiquities. Gazetteer entries are often short and not always complimentary. This sort of critical appraisal continued to be a great strength of the series, as authors heaped scorn on recent architectural developments in some towns and cities. In particular, James Lees-Milne in his "Worcestershire" is in fine form in his condemnation of the damage visited on Worcester by insensitive development and would have been even more vitriolic if the publishers had not objected. The point for Shell after all was to encourage people to travel to places, not put them off. In retrospect, it is surprising how much licence was given to the authors. 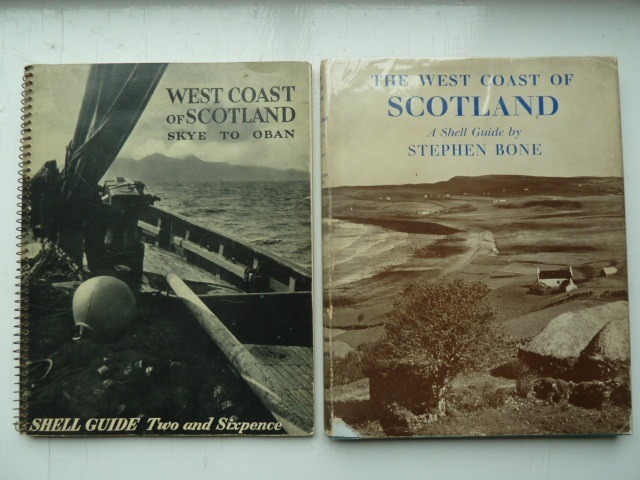 Batsford took over the publishing of the guides in 1937 and were responsible for "Hampshire", "Northumberland and Durham", "The West Coast of Scotland" and "Oxon" (1938). 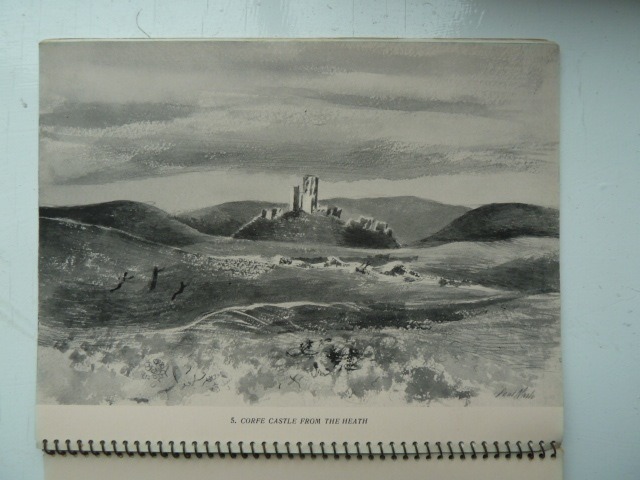 This latter guide was written by the artist John Piper, supported by his wife Myfanwy Evans and this volume again broke new ground in its use of images and incorporation of cartoons by Osbert Lancaster. Piper and Betjeman had become friends in the mid 1930's and their joint involvement with the Guides from 1938 to 1964 (when Betjeman resigned) ensured that the guides would continue at a high standard. Piper remained as editor until the series closed in 1984. 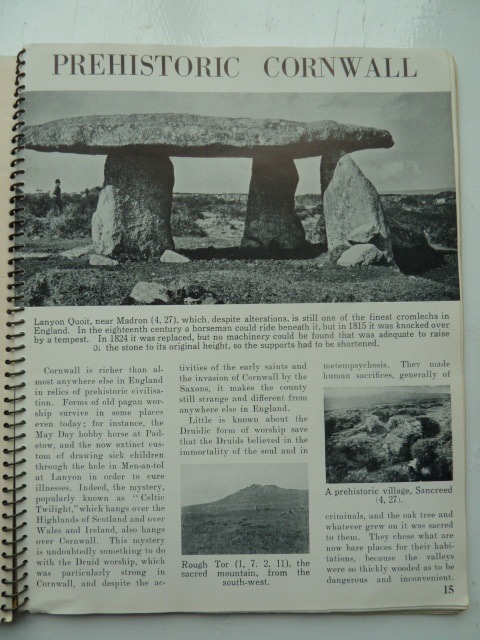 In 1939 Faber and Faber took over the series and as well as re-issuing several of the earlier guides produced their first original guide, "Gloucestershire", in 1939, the last guide issued before the Second World War. 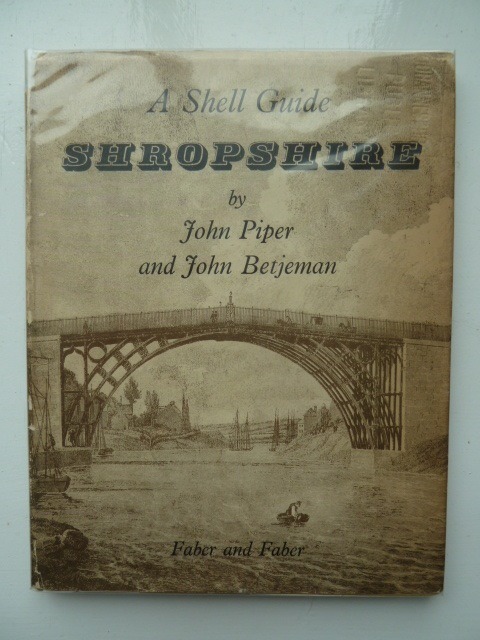 It would be 1951 before the next guide "Shropshire" was issued, fittingly enough jointly authored by Betjeman and Piper. By now the spiral binding had been replaced with conventionally bound boards and the gazetteer expanded to occupy the great majority of the text. 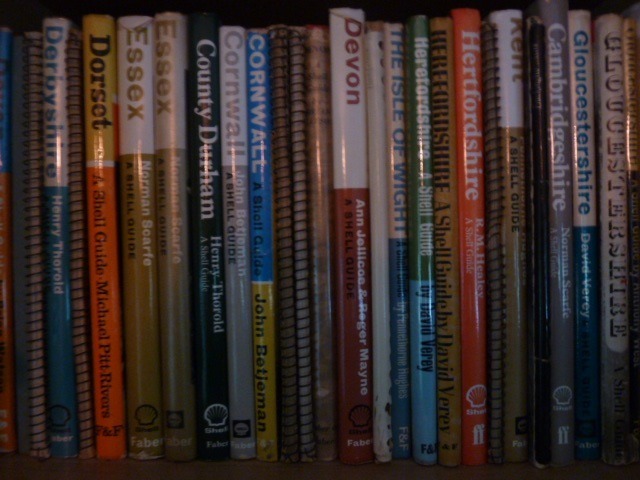 During the next 33 years many of the original county guides were revamped and re-issued sometimes by the original author, more often by new authors and the guides became thicker as the gazetteers expanded and entries became longer. 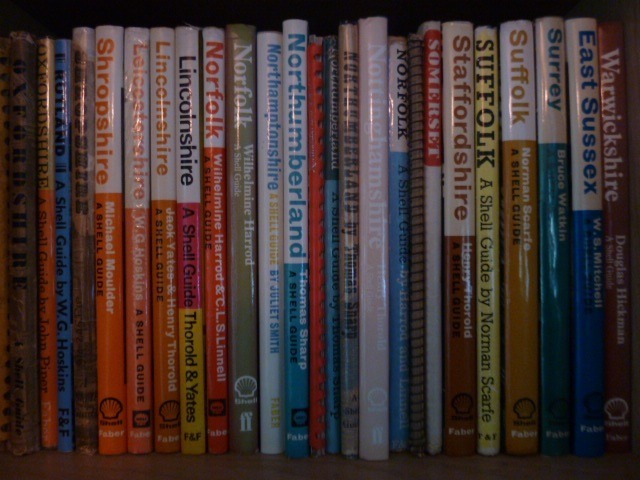 In addition, new counties were added, culminating in "Nottinghamshire" by Henry Thorold in 1984, the last guide issued. 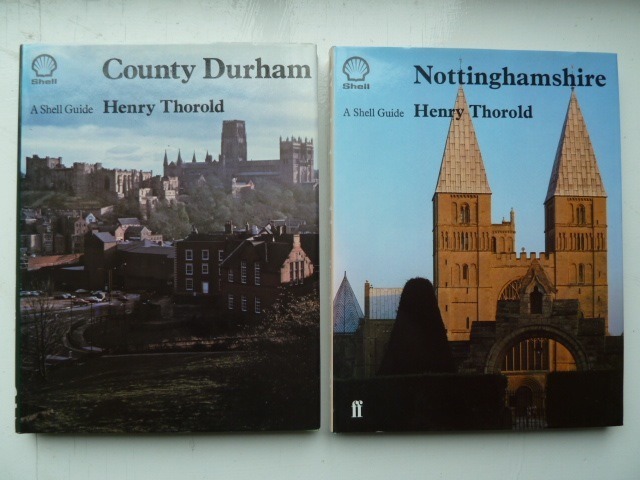 In addition to "Nottinghamshire" Thorold produced guides to Durham, Derbyshire, Lincolnshire and Staffordshire, all detailed inventories of all that is good in the county. 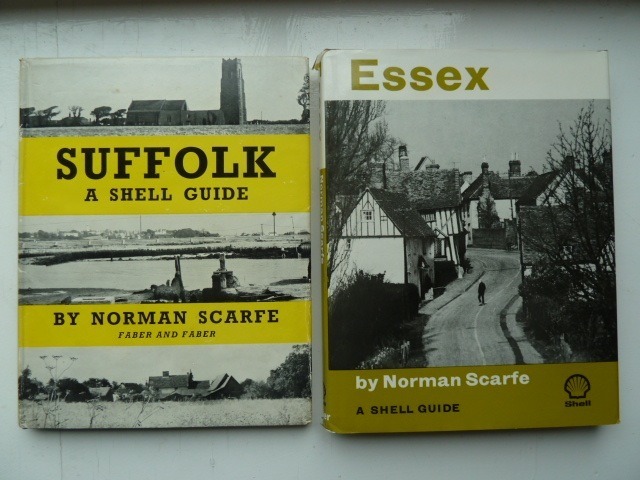 Other notable authors were Norman Scarfe, author of "Cambridgeshire", "Essex" and "Suffolk" and W G Hoskins, author of the superb "Rutland". 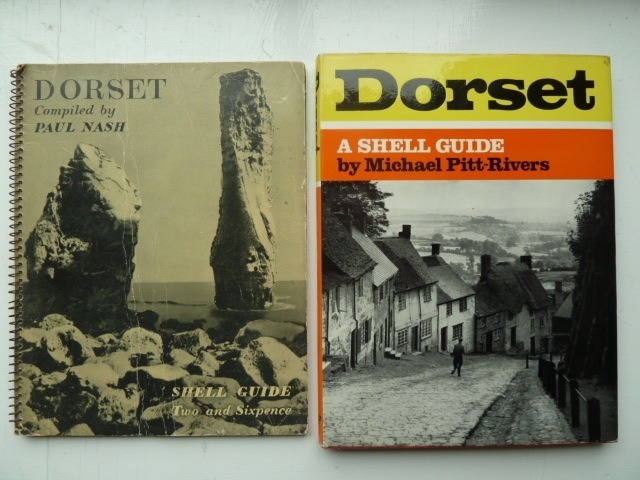 The first holiday my wife and I took with a Shell Guide was in 1968, when we paid a brief visit to Dorset, taking Michael Pitt-Rivers' 1966 guide. This was our companion at sites that have since become very special, such as Durdle Door, Gold Hill at Shaftesbury and Maiden Castle. 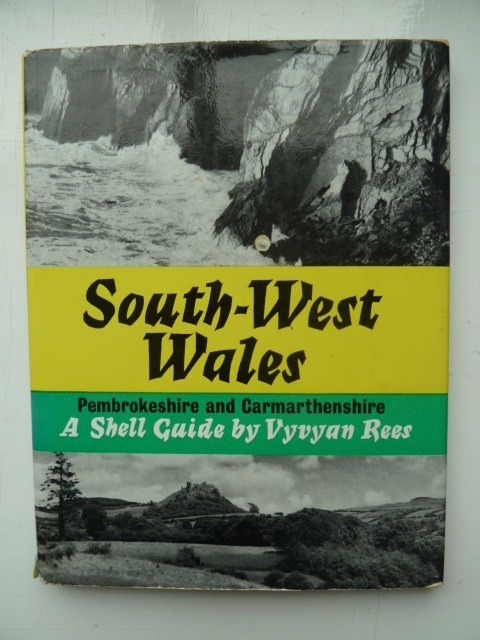 Holidays in Pembrokeshire were considerably enhanced as Vivyan Rees's "South West Wales" took us to lonely villages nestling in the shadow of the Prescelly Mountains or to forgotten standing stones on lonely Pembrokeshire trackways. 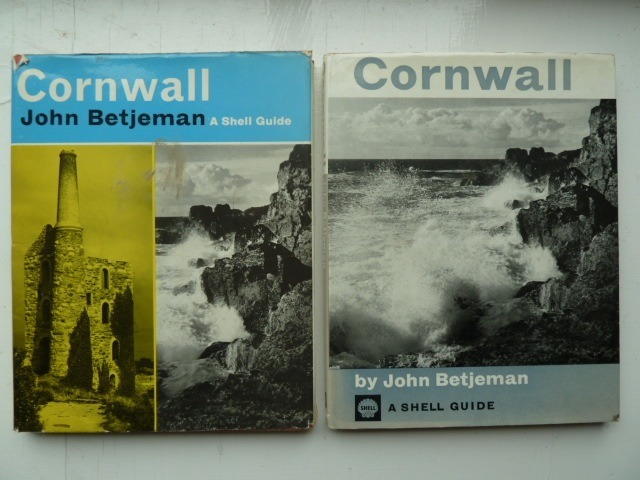 I could go on; we have since spent weeks in, for example, Cornwall, Northumberland, Norfolk and Devon, always with the Shell Guide at hand. 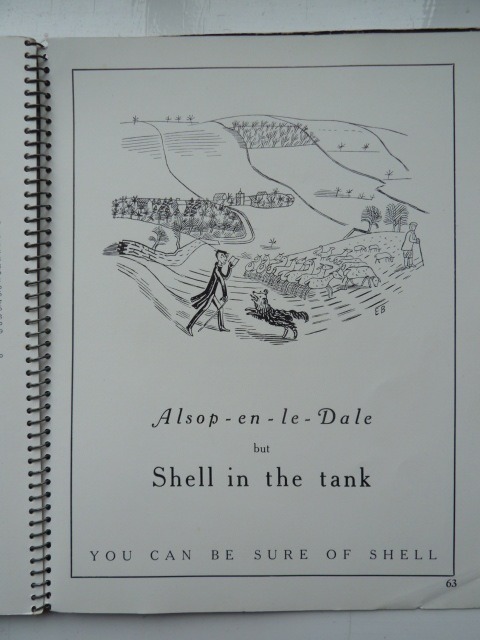 As they have become even more appreciated for their sheer excellence, and since they more and more tell of an England that is disappearing, the Shell Guides have now become collectable and are becoming expensive. This is a pity because their best place is at your side in the car, which is exactly what John Betjeman, soon to be poet laureate, had in mind when he went into business with that unlikeliest of partners - a multi-national oil company.